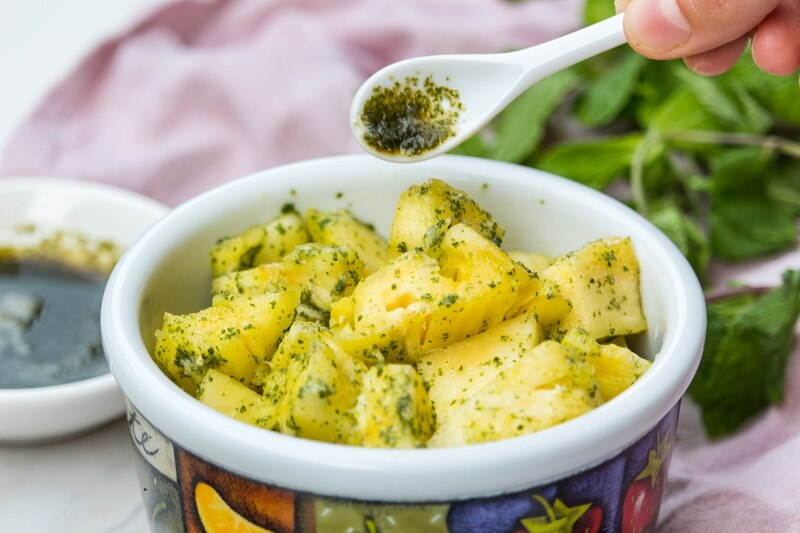 This super easy recipe for the pineapple and mint salad is perfect for the warm months. It’s refreshing and has loads of flavour. I got the idea to try it from a chef featured in a seriouseats.com article and it actually reminded me of chow. Chow is a delicious way to prepare and to eat fruit. I was introduced to chow years and years ago on my very first trip to maracas bay Trinidad. My first trip here visiting my husband’s family. We picked some up along with some sugar cake which is another one of my favourites at the food stall on the lookout before heading into maracas. I had mango chow and I was hooked after my first bite! So so delicious. So what is it? Well it’s usually made with unripe or half ripe fruit that is usually a little on the tart side, although technically you could chow any fruit or vegetable. 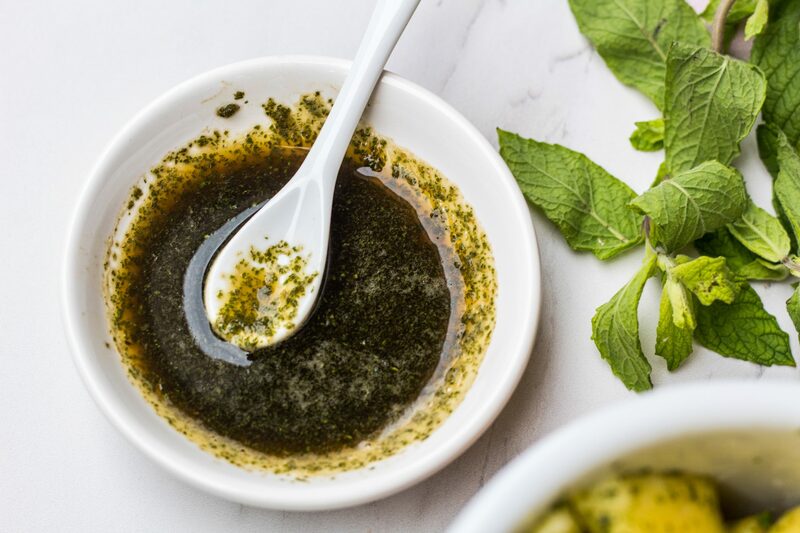 The process is almost like pickling the fruit pieces in lime juice or vinegar, chadon beni or cilantro, a pinch of pepper sauce, chopped garlic, and salt and pepper to taste. So simply, the fruit is cleaned and sliced and then it hangs out in the super yummy dressing and then becomes delicious morsels of tart and savoury fruit. I love all things vinegar/tart so falling in love with chow was inevitable! The most common fruits used in chow that I have seen are mangos, pineapples, cherries (West Indian cherries or acerola cherries), plums (Caribbean governor plums), apples, grapes, five finger(star fruit) and pommecythere or ambarella. I also love making cucumber chow too. I know that’s not a fruit but the flavours are super delicious with it nonetheless. So now you know what Trini- chow is, so let me tell you about this sweet spin on it. Basically I tossed my pineapple pieces in a fresh mint simple syrup sauce and also tossed in some chadon beni. 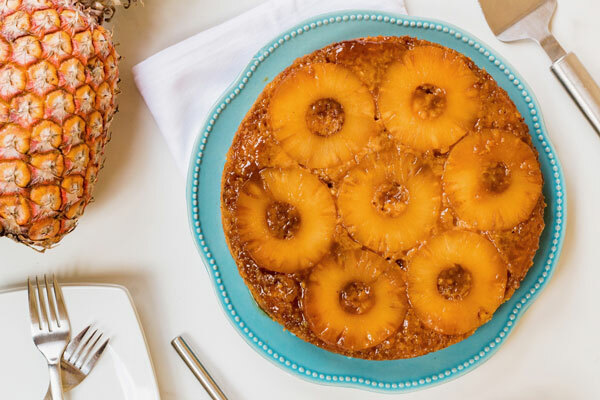 The syrup just accentuates the sweetness of the pineapple. 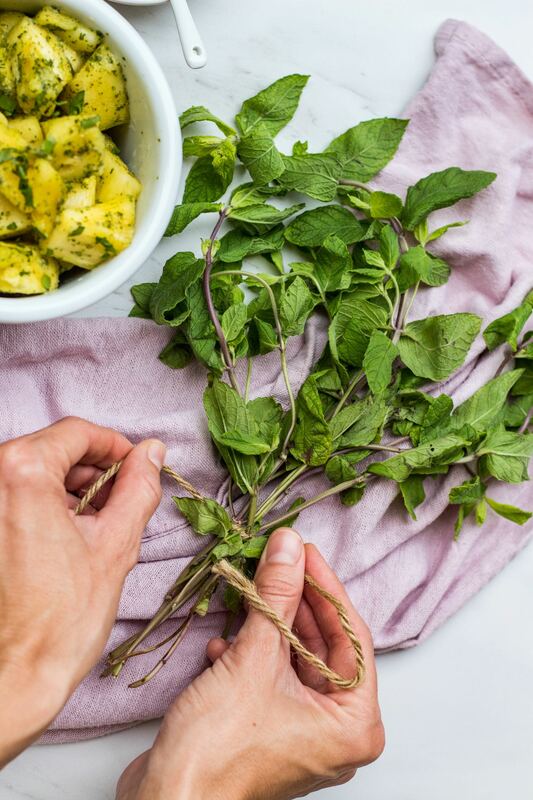 The mint really plays nicely with the sweetness of it too, and it’s totally refreshing and heightens the pineapple flavour. The chadon beni or cilantro adds a savoury spin to it and adds to the freshness of the salad. It was fabulous and we couldn’t stop eating it! This is a fun and easy way to play up your fruit a bit! 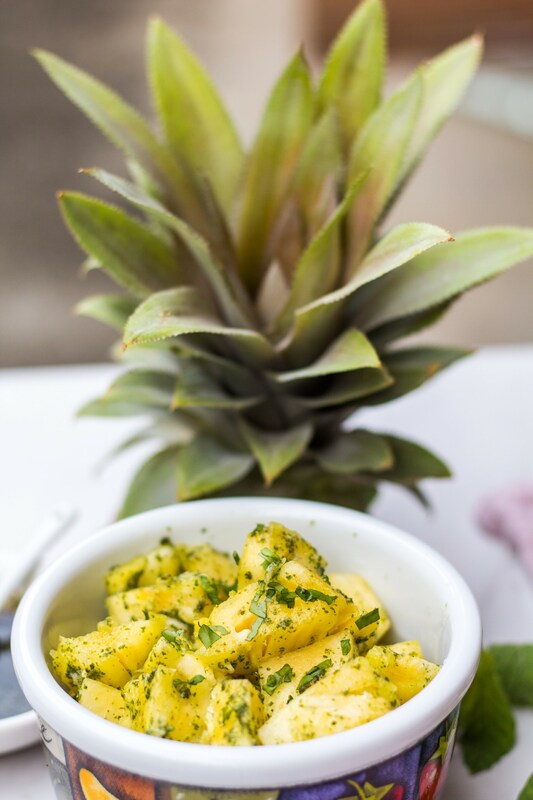 Not that fruit needs it to be honest but sometimes you want a little something different and this is a great way of doing it with pineapple and mint!! 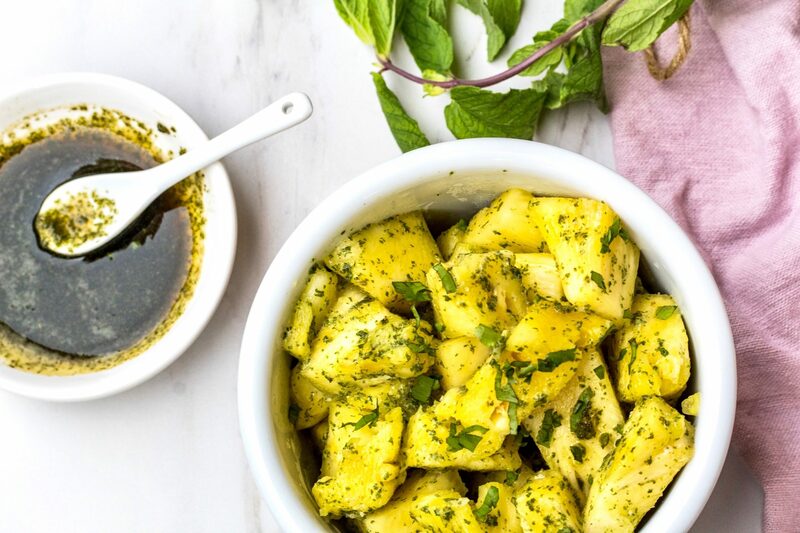 Here’s the basic recipe for the pineapple mint salad and also a basic Trini chow. Enjoy!! In a small pot heat up the water and sugar to medium until the sugar is compete dissolved. Remove from heat and set aside to cool — that is a basic simple syrup. 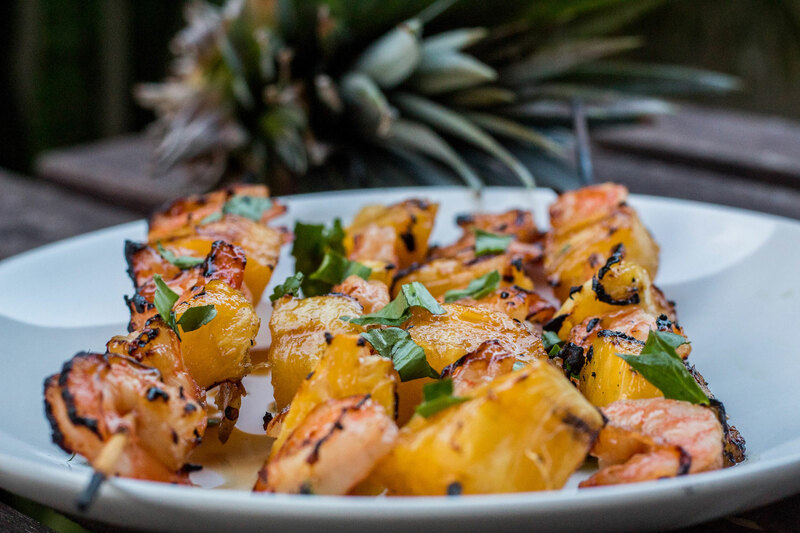 Toss the pineapple with the mint simple syrup sauce and then sprinkle with some chadon beni and enjoy!